Patented car console auto coaster is sized for most drink holders, is easily removed for cleaning. Soaks up spills and condensation, dishwasher safe, and decorated with stunning wildlife artwork. Each coaster is individually package for gift giving! Stop using tissues and napkins on the bottom of your sodas or drinks! Since they are composed of AbsorbaStone, you will never again get watery drips on your shirt from the bottom of a sweating container. 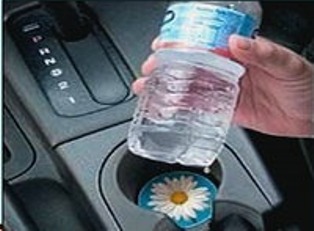 Put an end to messy cupholders in your car or boat with this unique idea. 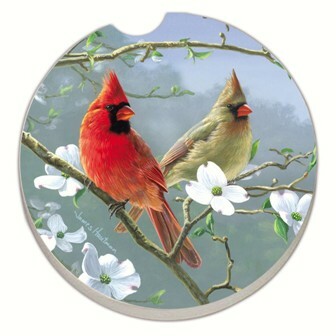 They are ideal for your bar, coffee table or anywhere you could use the perfect coaster !